Bulgarian mining and construction company Minstroy acquired a majority stake in the idled lead and zinc mines Zletovo and Toranica in Macedonia for 3.5 million euro ($3.9 million), a trade union official said. The 1,000 miners working in the mines will return to their work within a month or two and will soon start getting their wages, Dragi Jovanovski, an official of Macedonia’s energy and mining industry trade union, told SeeNews over the phone. According to local media, the assets which Minstory acquired include the mines’ flotation facilities, equipment and management offices. They were previously estimated at around 7 million euro, news agency Meta said. In April Minstroy signed a concession contract to operate the Zletovo and Toranitsa mines, offering to pay 2 million euro for the concession rights. Back then Minstroy said it will invest a further 10 million euro in them. 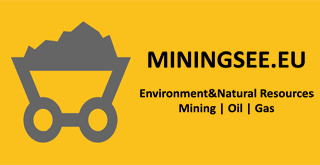 However, part of the assets of the mines, for which bankruptcy proceeding were initiated in November, remained blocked, preventing the concessionaire from starting operations. Several Macedonian banks which had provided mortgages to the mines currently own minority stakes in them, Jovanovski also said.